Something that's really difficult sometimes is making a card for a man. No flowers, butterflies, ribbons and embellishments also often don't fit. Well, I like the challenge! Here are some cards for men I've made. 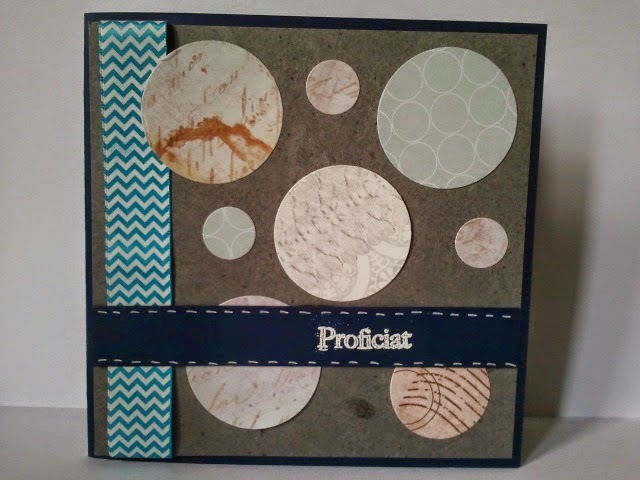 This one was inspired from a card making magazine I have. It was quite a lot of work but it was for mu husband so it was totally worth it! The theme is Game of Thrones, as the card doubled as a box around the BluRay disc of Season 2 of GoT. (Winter is coming....Movie Night is coming...) Actually the popcorn was supposed to stick out more but I didn't have metal wire so it kind of flops down. O well. 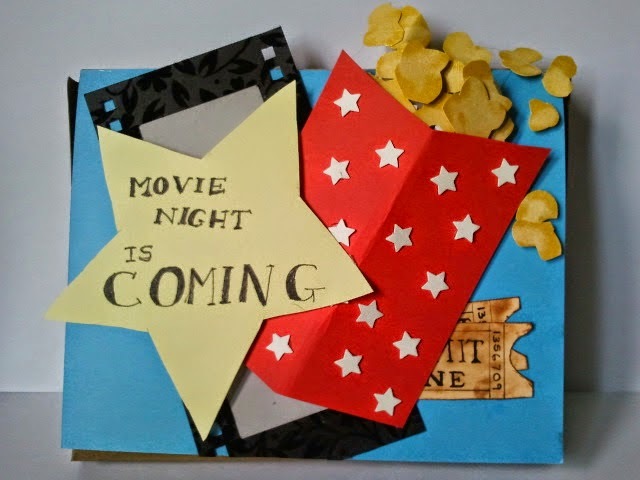 I actually did everything with my scissors (popcorn, tickets and big star) though I had the film reel lying around already. The small white stars were punched out with a star punch. The popcorn I just cut out of yellow paper and went over the individual pieces with a spunge dauber and white ink to give it a bit of dimension. 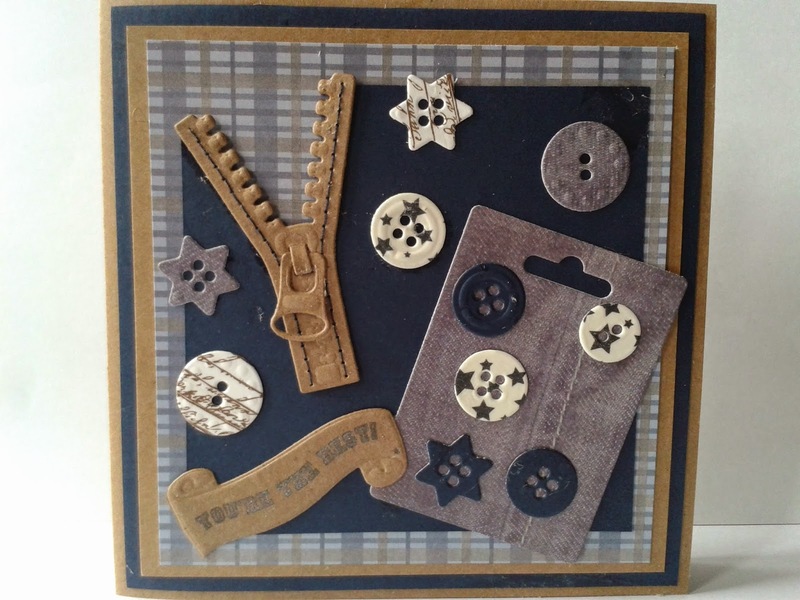 This is a Tim Holtz themed card I think. 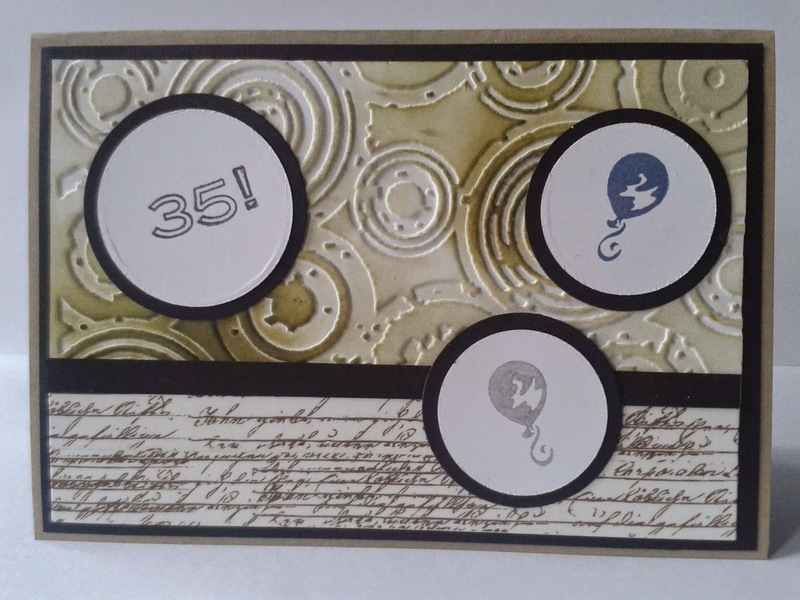 I used Tim Holts embossing folder and Distress Ink, cut out some circles and stamped on the balloons with Distress Ink as well. The bottom half is actually washi tape (my favourite kind). That's it, clean and simple. This one is a cumulation of Marianne Design dies. The zipper is CR1260 and banner COL1324 and the buttons and tag are LR0188. Hope you found some inspiration here!